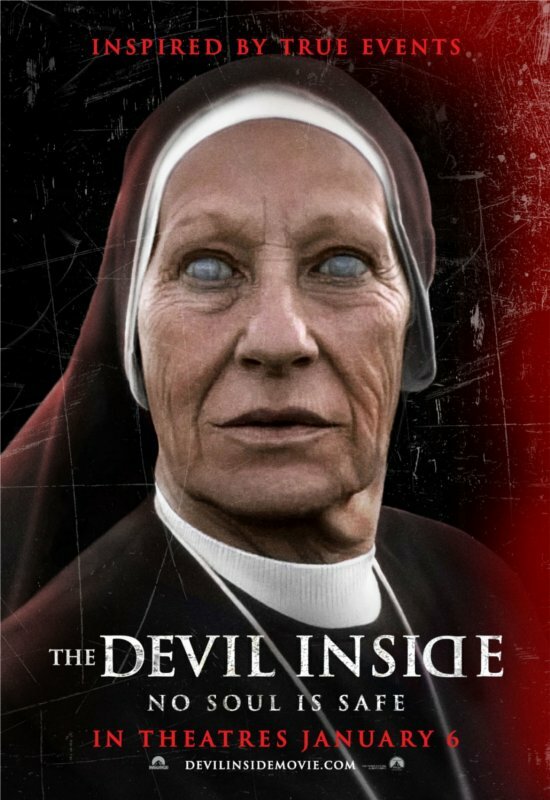 Synopsis: “In Italy, a woman becomes involved in a series of unauthorized exorcisms during her mission to discover what happened to her mother, who allegedly murdered three people during her own exorcism” (IMDb). Verdict: If you thought that this was going to be just another The Exorcist (1973 classic) copycat, you’re wrong. It’s far worse than just that. It starts out like a documentary, educating about demonic possession and exorcism. Then it becomes like a reality TV show with characters complaining about each other to the camera. The ending, what I’d call a ran-out-of-budget ending, just comes abruptly, telling viewers to find out more on their mock website. So what’s the purpose of the movie? To educate or to scare the viewers? Probably even William Brent Bell himself can’t answer this because the film fails miserably in both departments. It is also unconvincing as a found footage due to the clear audio and nicely edited and arranged video recordings. The Devil Inside is one direction-less dull movie. To educate? They discuss and show a lot about how to differentiate between a mentally ill person and a possessed one (more like stating the obvious) but do not explain how and why demons do so. They’ve also missed out on explaining the process and reasons of an effective exorcism. To scare? The scariest scenes are already shown on the trailers. Seriously. Malaysian censorship: It doesn’t seem like anything’s cut. Worst quote: “Take the camera, we need the light.” Yeah, sure, more like take the camera otherwise there won’t be a climax for this movie. How I would’ve ended the film: The characters manage to make it all the way to the Church but just to find out that all the priests with high authority powers are actually possessed by demons for a long time, which explains why exorcisms are prohibited – to allow other demons to possess humans, forming an army to conquer the realm. Special thanks to Nuffnang and ChurpChurp for the invitations to the screening of the film. Justified verdict for me, lol. They should just stop at Emily Rose.